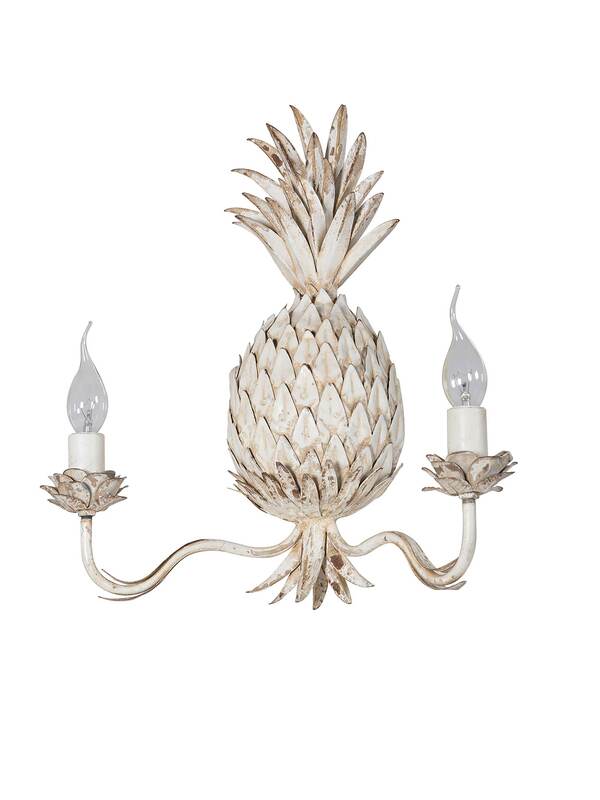 The pineapple has been used as a symbol of hospitality since the 1500s when a pineapple adorning your dinner table was seen to show a generous and open-hearted host. 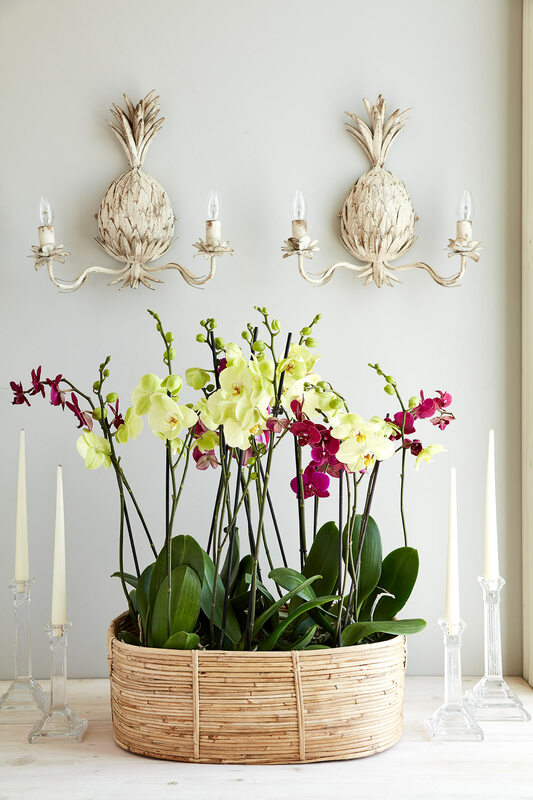 In classic, distressed ivory paint finish, our gorgeous sconce looks lovely in the hall, bedroom or sitting room and particularly fantastic as a pair. 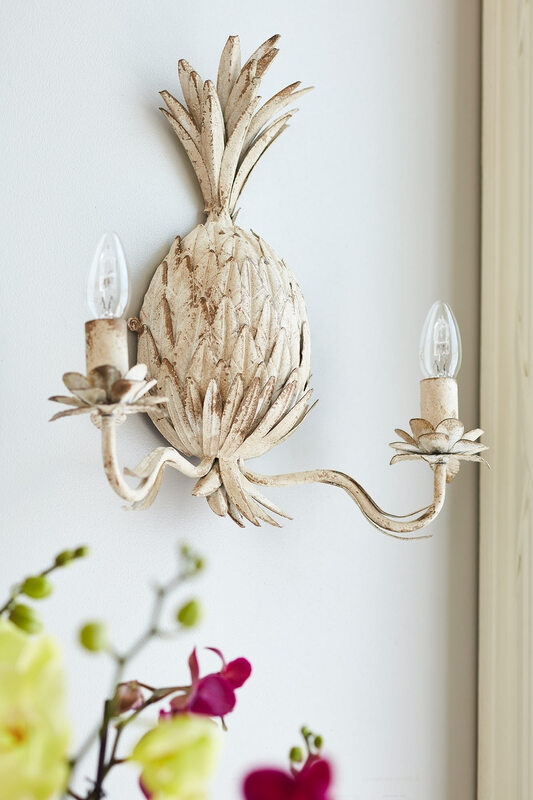 Both quirky and timeless, this charming wall sconce will add character, creating a fantastic focal point.